Hello everyone! Life has been a bit crazed. I apologize for the delay. As you know though, life with Adria continues on the daily. Recently she has been having a lot of trouble with girls at school and at girl scouts. I am not under any illusions that my daughter is an angel. I know she gives as much as she gets. But lately it has been pretty rough. But just when I get to a point where I don't think I can handle much more...she goes and does things like this. So you all remember the Black History Month letter to her friend Nevin. I thought that was the cutest thing ever...until now. I came downstairs the night before Easter and I found that Adria had written a note to the Easter Bunny and taped it to balloons and set it out where she could see it. 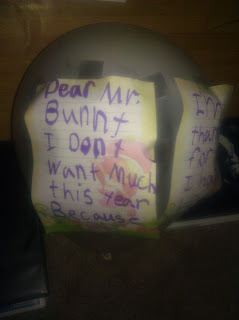 Dear Mr. Bunny, I don't want much this year because I'm thankful for what I have. 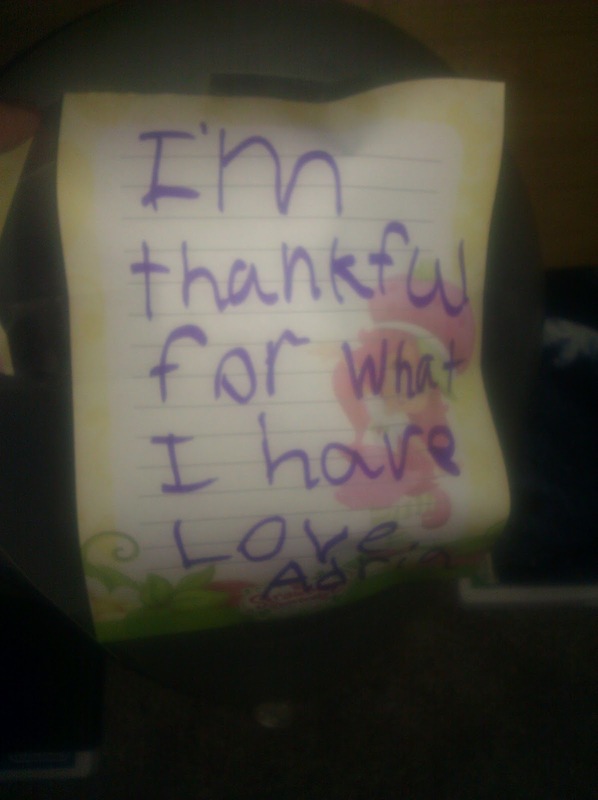 Love, Adria. Look, I don't mean to boast, but I have to say...this must mean I'm a pretty kickass mom right?! I mean come on...compared to the she-devils she goes to school with, this kid rocks the casbah. I was so touched I couldn't even believe it. Of course a few days later she got in trouble for calling a kid fat...so. That happened.